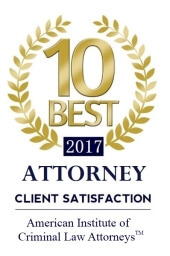 Jacksonville Criminal Defense Attorney | Monroe & King, P.A. Being accused of a crime can be one of the most difficult situations of your life. When the complexities of your legal matters become too overwhelming, let a proven Jacksonville criminal defense lawyer take your case off your hands. The zealous legal team at Monroe & King, P.A. can defend your constitutional rights like no other firm can. We want our clients to have total confidence in our legal abilities. For that reason, building a solid, trusting relationship with you becomes our first order of business when you turn to our firm. This further equips us when pursuing justice and a “not guilty” verdict on your behalf. Our team is 100% focused on criminal defense matters, from DUI charges and drug crimes to domestic violence and theft. Most clients come in not knowing what their rights are, what next steps to take with their cases, or how to effectively navigate through the complicated justice system. Being there for our clients the whole way through becomes our priority when we commit to championing their best interests. The outcome of your case is just as important to us as it is to you, and we understand that there’s a lot on the line when faced with a potential conviction. Focusing on quality over quantity sets our criminal defense firm apart from the others in Jacksonville. Our team investigates every aspect of the cases we handle, leaving no room for cut corners. We take a small amount of cases at a time to provide every client with the individualized care and extreme attention to detail deserved. Our team is available 24/7 to address your legal questions and concerns. Contact us at (904) 474-3115 for a free case evaluation with a Jacksonville criminal lawyer. Dedicated to protecting your constitutional rights, our experienced attorneys are ready to put their insight and comprehensive legal abilities to work for you. We're here for you every step of the way, and we're available 24/7.